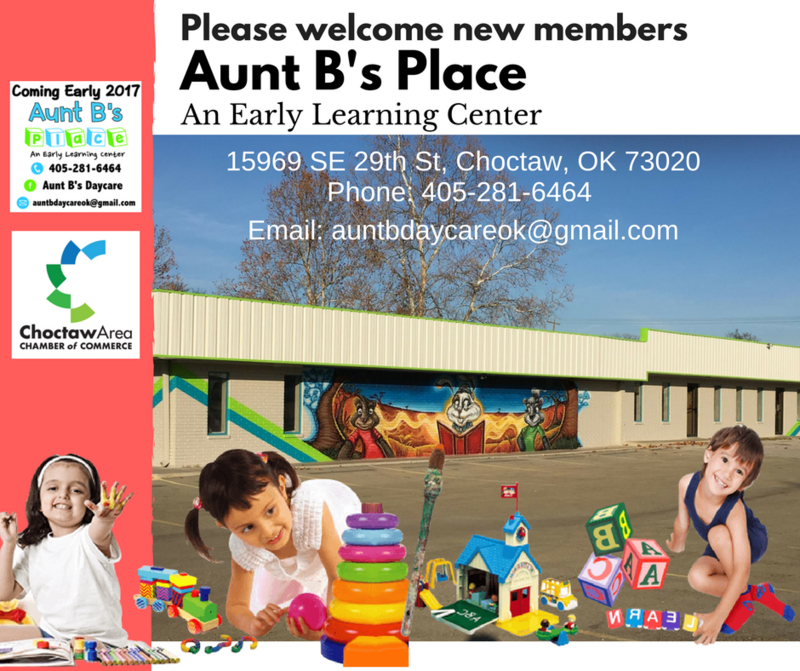 We are excited to Welcome Aunt B’s Place An Early Learning Center to the Choctaw Area Chamber. Watch for more details about enrollment, tours and a ribbon cutting. Visit their Website here.